The St. Paul Pioneers travel to Burnsville Saturday to take on the defending NEFL-champion Minneapolis Warriors in a rematch of last season's NEFL semifinals. 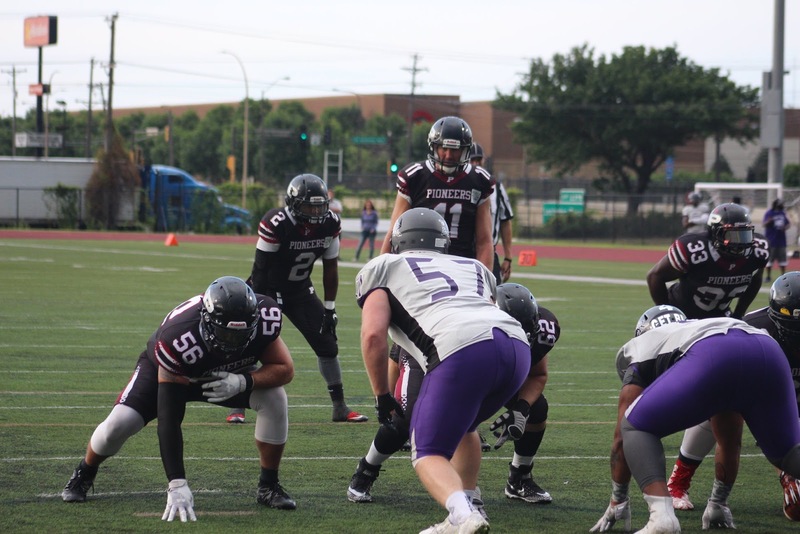 Minneapolis was the first team to dethrone the Pioneers as champions since St. Paul entered the league for the 2010 season. Now, the Pioneers will be hoping for their own taste of vengeance and keep the Warriors from repeating. Kickoff is set for 6 p.m.
St. Paul defeated the River City Rough Riders last week in the playoff opener 55-14. Minneapolis enjoyed a first-round bye. While the Pioneers have two league regular season losses this year -- to the Warriors and the Northland Bulls -- the Pioneers also earlier defeated the NEFL's top seed Sioux City Stampede on a last-second 54-yard field goal that proved St. Paul still can conjure up the offense, defense and special teams play to defeat top squads. Other notable Pioneers victories this season include nail-biters against Fargo in league play and Des Moines in a non-conference tussle.